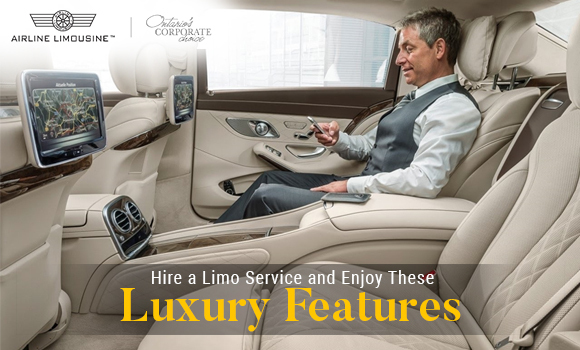 From enjoying beverages, listening to music, watching television to relaxing in upholstered seats, you will love several luxury features of a limo. 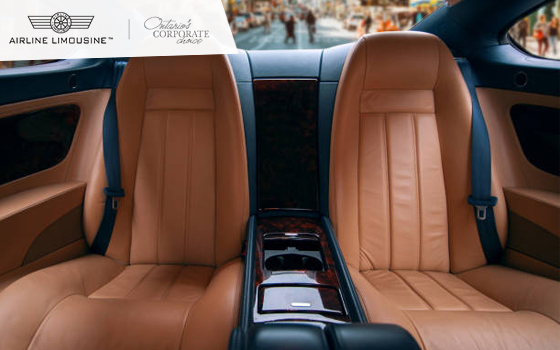 This premium car is made with many specifications that range from high-tech multimedia features, comfortable seating, spacious leg room and well-lit or customized ceiling panel. Additionally, well-trained and professional chauffeurs drive you to your destination on time without you worrying about anything on the road. For these extravagant features, this car is preferred for weddings, prom nights, grand events and travelling to the airport. In this blog-post by Airline Limousine, an airport limo service provider, we are going over all the posh features of this premium car which you will appreciate. Though many cars have stereo systems, limos have an exclusive stereo system with speakers and amplifiers. As this vehicle is long and accommodates more people than average cars, space is greater allowing for a well-equipped stereo system. So, whether you’re sitting near the audio system or away from it, you can enjoy music irrespective of where you’re sitting. Limos feature high-tech gadgets like video systems, flat-screen television sets and LCD screens with internet connectivity. You can watch your favourite shows or surf the internet when you like while travelling. For instance, if you hire this car for your friend’s wedding, then you can play a home video and relive the old days with your pals on his or her big day. The intercom system is another unique feature of a limo that keeps the chauffeur and the passengers connected even when there is a divider in between the two. The intercom system is divided into two types and that is modern and traditional. For modern intercom systems, there are no handsets instead, there are inbuilt microphones and speakers inside the car. Also, there are independent on/off switches and a warning LED lights to signify you if you’re loud and your conversations are heard in the other end. On the contrary, the traditional intercom system features hands-free operation for the chauffeur and handsets for the passengers in the rear. The passenger uses a handset and presses the switch on the button to make a call to the chauffeur who is notified through a buzzer sound. When you’re travelling for long hours and talking over the phone, your mobile battery might die. This will make it necessary for you to charge your phone for further communications while you’re commuting. This is where a limo comes in handy because it features several charging stations with different ports and hardware. You can charge your laptop, phone or other gadgets and continue the work which you were doing without facing any obstruction in between. This is especially applicable for people who travel a lot for business where staying connected plays a major role. There is another multimedia feature like navigators that directs the chauffeur to the destination given by the passenger. In this way, the chauffeur doesn’t disturb the passenger in his/her ride. Limousines feature tinted windows to respect your privacy. With these windows, your activities inside the car won’t be visible to anyone outside. That’s why this vehicle is quite famous for bachelorette parties and other confidential meetings of the business corporates. Many parliamentary figures and politicians take limos for their commute but, limos made for them are customized and made bullet-proof for their safety and protection. This luxury car is made with a state-of-the-art climate control system which regulates the temperature. For instance, if it’s bitterly cold outside, the climate control system will keep you warm throughout your drive and vice versa if the weather is hot. Hence, this luxurious transportation keeps you comfortable. The limo car seats are not like average cars. The seats are thick, upholstered, soft, supple and leather-made for your comfortable ride. So, whether you’re taking an airport limo after a long flight or a party limo after an exhausting night, the cozy seats will guarantee you full comfort. Luxury limo cars are equipped with bar counters that feature several alcoholic drinks and other beverages. With this feature, you don’t have to wait until your destination arrives to enjoy a few drinks. You can make a few drinks while you’re commuting in this transport. Furthermore, some limo service providers also offer complimentary food and beverages to the passengers. When you’re hiring a limo, you don’t have to worry about the roads as limo service providers hire experienced chauffeurs over drivers. The former ones are well-trained and well-equipped to overcome a crisis like a car breakdown without the intervention of a third-party. Also, they have the etiquette to greet the passengers with a smile when they board a limo. Furthermore, they open and close the gate for you which makes them different from regular drivers. These cars are made with special safety features such as fitted seatbelts, the partition wall between the chauffeur and the passenger, pre-collision brakes and other attributes. Additionally, there are adaptive cruise control, lane-keep assist and blind spot monitors. These features along with chauffeur’s experience keep you safe when you’re travelling on the road. If you’re hiring a limo, then you will enjoy all the above-listed grand features for a luxurious and comfortable ride. So, book this car for your next commute to the airport, bachelorette party or any grand event. For hiring an airport limo, you can get in touch with us and we will offer you an exclusive ride. Call us at 1-800-263-5466 or book online; the choice is yours!